​On these days, there are different types of screen printing like vintage look, AOP plus, Faux, all-over, over –sized and specialty. It is a challenge for t-shirt screen printing machine users to choose which screen printing is going to produce the ideal t-shirt. If you can consult with an experienced t-shirt screen printer, you can get the best result on any print. To finding the poor printing issues and troubleshoot complications, you can show the printer the effect that you want to achieve and provide visual you have. Together, you may find the best solution to get the right price and right result in t-shirt screen printing. In these days, soft-hand screen printing is most recommended type of screen printing. Customers in the present market can understand the difference between the contemporary retail quality soft prints and the bullet proof promotional t-shirt prints. Vintage look screen printing has a soft hand screen printing with distressed. To get a standard acceptable visibility screen printing on white or light color, a t-shirt screen printer can use water-base ink as it is very soft. Water-based ink is eco-friendly and better for the environment than the plastisol ink. Debate is going on the advantages and disadvantages for each ink. Some screen printers use discharge ink for printing on dark or color garments. Discharge is a kind of water-based ink which is mixed with an activator. The fabric color is bleached out with the discharge ink while depositing pigment. 100% cotton fabric is suitable for discharge ink and it can’t be rather predicted on the dye and treatment of the fabric. Some printers use soft-hand additives with plastisol inks and their design looks soften as it with water based ink. The fashion soft and chino are the names of ink brand softeners. When you mix additives with ink, the inks becomes more transparent than their ideal plastisol counter parts. That’s why this type ink is suitable for light or white colored garments and they work best. High mesh is also responsible for achieving soft feeling screen print. The mesh count defines in fart of a screen how much inks will push through the stencil onto the t-shirt. Softer print creates for less ink. You can reduce your cost by applying this softer hand printing method. To create a very unique looking t-shirt you can print T-shirt in a Large Scale but how large is suit enough? Customers may frequently need to print all over a shirt but in this print; a little bit manipulation can bring harmful effect and low price. The various prints come in for the t-shirt screen printing machine needed to print final product. You can discuss with printer about what you want in your t-shirt and to find the correct resolution regarding effect, size, and price. Oversize screen printing is one step more than the standard size. The large image size or oversize image fits with 17” w x 22”h. You have to remind in mind that the small t-shirts won’t fit on the tables needed to print on large scale. After several prints of smaller design, an oversize print can also be achievable. 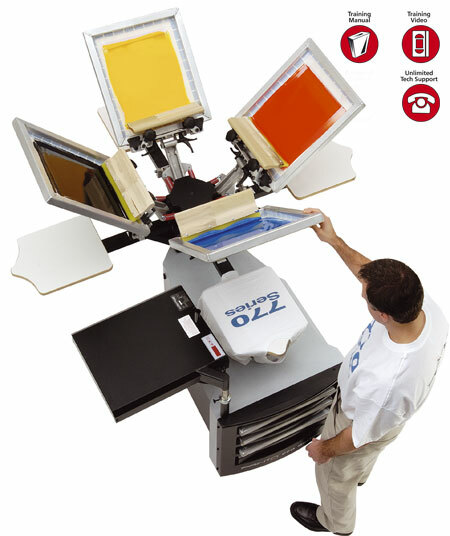 A screen printer can avoid small orders often for printing all over shirts. All-over printing is also same like as AOP. This kind of screen printing can go off the bottom, top, right and left the shirt. In maximum case, only the single color design t-shirt run over all 4 sides. If you don’t work a screen printing machine that has a belt press, multi-color design will not go off all 4 sides for all size shirts. Multiple color design is restricted to only six. Screen printers can’t keep registration in exact place while printing multiple colors all-over and does printing mistakes. You need to follow quality guideline before starting with all-over screen print as it vary from regular screen printing. In previous time, specialty screen printing was limited to a handful of inks such high density as puff, glow, and metallic’s. New ink is coming always in the market and making combine the new inks, new effect can be created that you can’t think. Own Chicago shirt is great example of sharprints. The layer of this t-shirt is with sculpture and suede base and ink additives to create a faux athletic look screen printing. Your screen printing machine user should be involved in this process as soon as possible to do creative specialty printing. An expert screen printer can remove options that won’t work with your art. Your clothing is now a system to reveal on your own talent to the world. Gone are the days when people blindly adhered to celebs and got celebrity clothes. Everyone has their style, and the style world is exceptionally fitting. The Net supplies accessibility to every little thing you might require instantaneously, and purchasing clothes is not a complicated job any longer. You don't need to worry about getting the right clothing to share on your own either. You have sufficient choices to make your design. It's feasible to develop your style declaration, and also share your internal emotions with what appear to be comfortable and even routine garments. 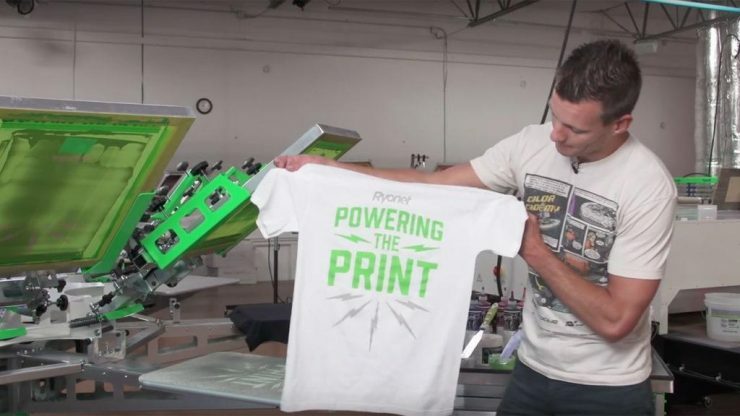 Screen printing innovation has opened up an entire brand-new level of customization choices for clothing. screen printing is now very common to discover Tee shirts and also tank tops decorated with magnificent graphics as well as excellent quotes. A screen printing machine is a piece of equipment that utilizes a technique that involves using a mesh to transfer ink into a substratum These essential clothing come to be a fashion declaration if you can make heads transform. Screen printing is the new technique in printing on T-shirts, where digital photos are burnt on screen through direct exposure device. The developed screen having the image is after that made use of by screen printing press to print the layout on premium clothing correctly. This modern technology is highly advanced; the paint is splashed onto the fabric as well as the style becomes a component of the cloth. You don't have to stress over the graphics fading or breaking after a couple of laundries either. The graphics printed on clothes are sharp, as well as a blend of different shades can be made use of for the layouts - giving you countless possibilities. The manufacturers of screen published clothing make sure that they produce unique as well as exciting styles. Several style companies have exclusive developers that painstakingly create the artwork utilizing standard pen as well as papers to catch that particular, tailored layout. The elaborate layouts are then changed right into electronic artwork. The artist's work their magic with a sophisticated modifying software application to produce the last digital design. Lots of hard work and labor goes into creating and also printing each style, so you could be sure you're getting clothes that are just one of a kind. You can choose from numerous different layouts and themes for your clothing. Shine at night Tees and containers are very preferred among partying grownups as well as teenagers. You could mostly be the star of the celebration, and also the envy of others with such clothing. ​Screen printing, which is typically called as silk printing is a procedure that is especially suited for publication in flat surface areas. In the method of marking under this approach, the areas where the printing out to probably not be found are covered out on the screen and also a mounted display is positioned over the items that have actually to be printed, along with a squirt of solid ink. The covered location avoids the ink coming from traveling through, but the exposed area allows the ink to be continued the component. For making sure that the material dries out, the ingredient is passed via the bearer district on a warm tunnel. When this was drying out process from correctly performed, the information will continue to be on the product even when that is severely dealt with. If additional different colors are to be generated on the last layout, the process is repetitive with varying screens of the display under this approach. 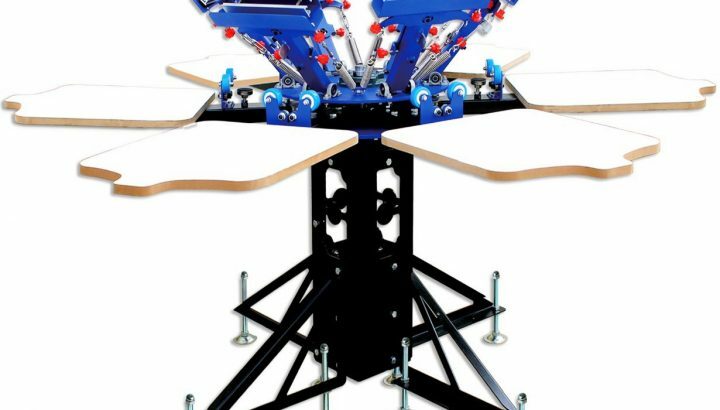 Some equipment utilized for screen printing is entirely automatic in the attribute. When speaking regarding masking of a screen, various procedures are complied with. Under this method, the design is made initially on a distinct item from plastic film, and then a photosensitive coating is administered to the whole surface from the screen, and this is let out to dry out. The screen printing procedure is commonly used for embossing on textiles, garments as well as t-shirts. Also, this is utilized in materials like metal to plastic. This technique may be very appropriate for visuals and too vibrant layouts, although, ornate as well as smaller details can be grabbed for excellence. Firms are coping with different makers for printing right coming from pad laser printer to automatic vision printing machines. The pad laser printer could be useful in plastic items, ceramic glazes, steel surface area, electronic items, etc. Are you considering purchasing premium pad printing or screening printing machine, then Fine Objective will supply you a lot more as well as much better pad and screen printing machines. Our team is going to continue to provide you with favorable, ingenious and also a practical mindset. How to Prepare High Quality Film Positives with Screen Printing Machine? Creating high quality film positives for the best stencil with screen printing machine is a challenging work. The beginners who are ready to start screen printing artwork, it is hard and complex for them to print film positives. Sometimes they become very frustrate as they don’t have much knowledge on that. I would like to share you some guideline of creating high quality film positive with the best stencil. I truly believe that if you follow them, you can be a successful to create film positive properly. If you can use an appropriate ink and suitable printing material right way to film positive, it will transfer your screen printing artwork into digital artwork. The screen printing equipment users should aim at to make a film positive which is not transparent and which will block out light as they expose their screens to create a clear and crisp stencil. If you want to develop an art into your film positives through your computer, you must setup a proper program in your computer. Here are 3 steps to setup the program in your device. Every screen printers should check the image setting when their image is ready and also check and make sure that the settings are adjoined with your digital screen printing machine. The resolution that should be set by you is 300 DPI (dot per inch) and you should be insured that the measurement dimension of the image and size matches with your printer. Some additional adjustment may be required on the basis of your printing work. Screen printers should spend enough time to separate colors of the image as they give time to create film positive. The program that you use for the artwork of printing will determine the exact method of color separation but the fundamentals will remain same. Each and every color needs to be separated according to their layer. If you ensure this, it will help you to print isolate film positive and also helps to produce separate screen color. Center crop line and registration should be added with every image layer after completing adjustment your screen printing artwork with your screen printing equipment. This will help you to make a line up your film positive and make ensure of your registration. Only the ink and the film these two materials in needed to create film positive. To create high quality film positive for your screen printing artwork, you must ensure the proper ink and the proper film. In screen printing there are various types films. Many screen printers like to use laser vellum or inkjet film and they depend on it largely. But you make a choice on the inkjet film instead of vellum as it is stronger vellum film and you can use it on non transparent image. On the other hand, though the vellum film is not as sturdy as inkjet film, it is not expensive. In case of vellum you can also use the uneven and the large image. Here are two more films which create opaque image and need expensive equipment's-they are setter film and thermal film. There are many large screen printing presses in different parts of the world that are using expensive printing equipment to create high quality film positive. But those screen printers who have no ability to high invest for expensive equipment, the image-setter or the thermal film can be used by them to make high quality film positive. There are two types ink is found in screen printing- dye based ink and pigment based ink. If you use due based ink in screen printing, you will be able to print an opaque print and best film positive. If your used ink isn’t compatible the film, your artwork will end in smoke. In screen printing few films are compatible with pigment based and few are compatible with dye based ink. If you can make a better combination with ink and film, you will be able to print high quality film positives and the most opaque image by screen printing press. Many screen printers may be ready to start their screen printing press having the digital image and screen printing materials in their hand but they can think about RIP to create the opaque and crisp film positive which will work well in detailed image. Raster image processing software is popular to many screen printers as it helps them to control the ink to print on the film and helps to make clear film positives. Without raster image processing software anyone can have good film positives but the opacity and the dimension of the film can be added by the RIP software. High quality film positive is very crucial agent for the screen printing machine to increase the production capacity. On the other hand, if the film positive low quality, it may be threat for the production process. So you need to be a genius to produce quality film positives. 2. How to Store Ink for Screen Printing Machine?